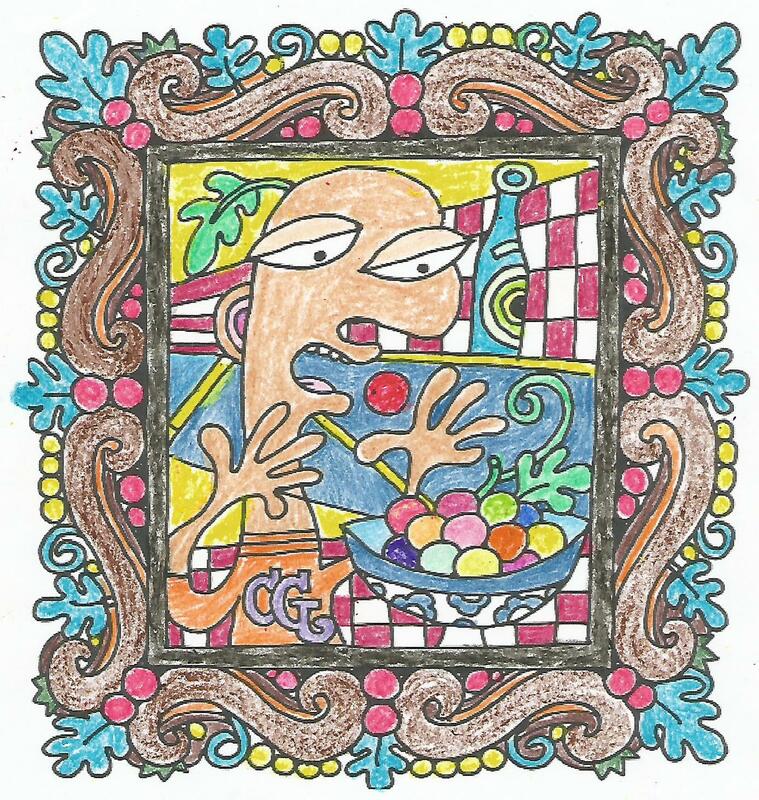 Bim Bam Boomer: Welcome to Adult Coloring - The Latest Craze! Welcome to Adult Coloring - The Latest Craze! Wouldn't it be nice to return to childhood when your biggest decision was whether to use the peach crayon or the apricot? I had a friend in kindergarten who never used her purple crayon. She was saving it for something special. When I found this out, I was dismayed that I had not had the foresight to save my purple crayon as well, although I wasn't sure why. For kids, coloring is a social activity. While out Christmas shopping this year you may have noticed the walls of adult coloring books in some of the major department stores. Welcome to the world of adult coloring - the latest craze! It is touted to be very relaxing and great therapy for those with frazzled nerves. Apparently by the number of coloring books available, anyone and everyone is doing it. You can buy full sized 8-1/2 by 11 books, or miniature versions, apparently to carry in your purse and take out while waiting in line at the bank or the doctor's office - I guess anywhere you are likely to have a few extra minutes. I guess you are supposed to carry an extra pack of crayons or colored pencils with you at all times as well. If anyone asks, just say they're for the grandkids. The first thing I ask when I see those walls of intricately designed coloring pages is "Who has time for this???" Well, since it's that time of year between Christmas and New Years Day when the parties are over but it's not yet time to take down the decorations, apparently I do. I didn't want to make the commitment of $10 to buy a full sized coloring book. Instead I went to one of the many online coloring pages for adults and printed out a few samples. There are myriads of themes and styles to choose from - something to meet every taste. Luckily my husband and I are pack rats and even though my youngest is 17 years old, we have not yet thrown away all the art supplies from his childhood, so I found a good supply of crayons and colored pencils in the basement. All I needed to do was knock the crust off of some of waxier crayons, sharpen a few pencils, and I was coloring away! 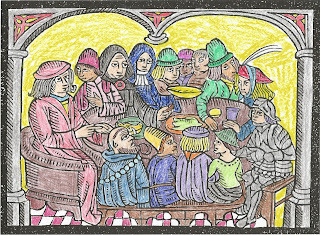 My first picture was a medieval wood cutting of monks, lords, and ladies sitting around a table sharing a meal. 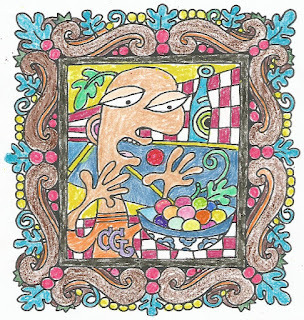 The second one was a Picasso-like portrait of a guy eating some fruit. All told, it took me a couple of hours to color these two. You can see the results below this article. 1.) Is it permissible to mix crayons and colored pencils on the same page? 2.) Why are the quality of crayons so different. Some are smooth and go on the paper like silk, others go on bumpy and unevenly. How do you fix that? 3.) If the artist made a mistake in the rendering, should you correct it, or just color it like it is? 4.) If you are in a new relationship, at what point should you admit that you spend your free time coloring? 5.) Is it okay to color in public? How about during your break at work? How about while waiting in line at the unemployment office? Will it affect your chance for a promotion/employment? 6.) Where do you display your finished works? Do you frame them? Hang them on the refrigerator? Throw them away? 7.) Is it possible as an adult to color too much? At what point does it change from a relaxing hobby to an obsession? At what point does it become a ridiculous waste of time? 8.) 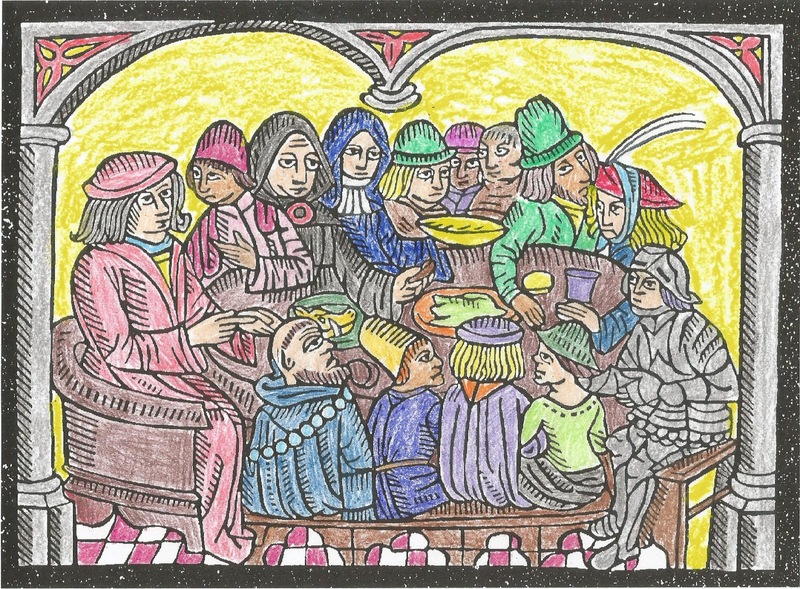 Should you admit your coloring habit to your friends?